Sellers can choose to add restriction filters during the listing process such as location, feedback ratings or age, this helps to narrow down the seller's expectations of the buyers. If a bid is placed that is not within the filtered requirements, the bid will be denied. 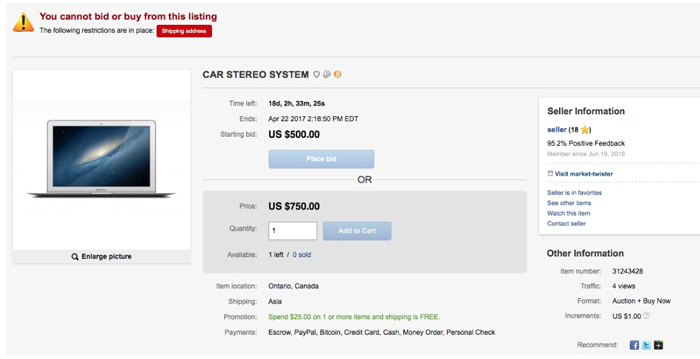 If a buyer falls into any of the seller restrictions, a notice will be shown at the top of the page indicating why they cannot bid or buy.